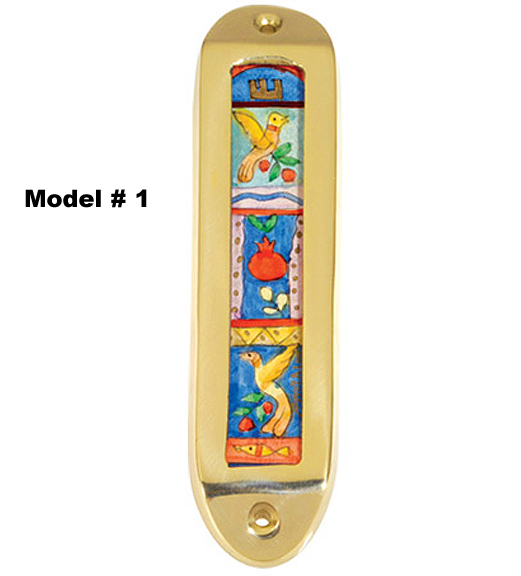 Handpainted wood inserted in a Large Brass Mezuzah case designed by Yair Emanuel. 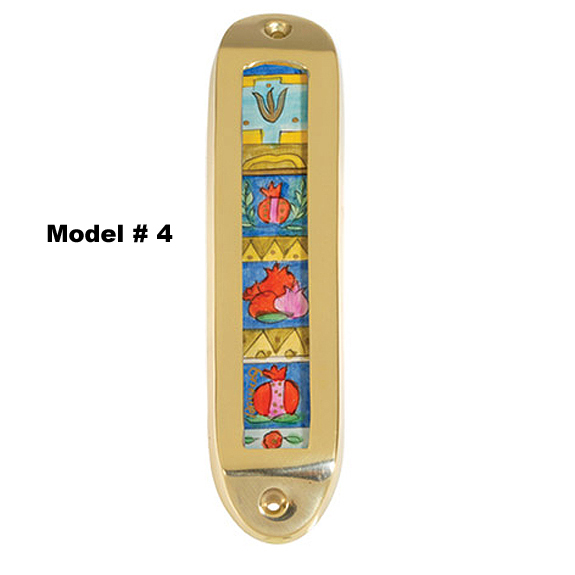 This Mezuza case has a handpainted wood illustration set into a brass box to create a colorful accent to any doorpost. 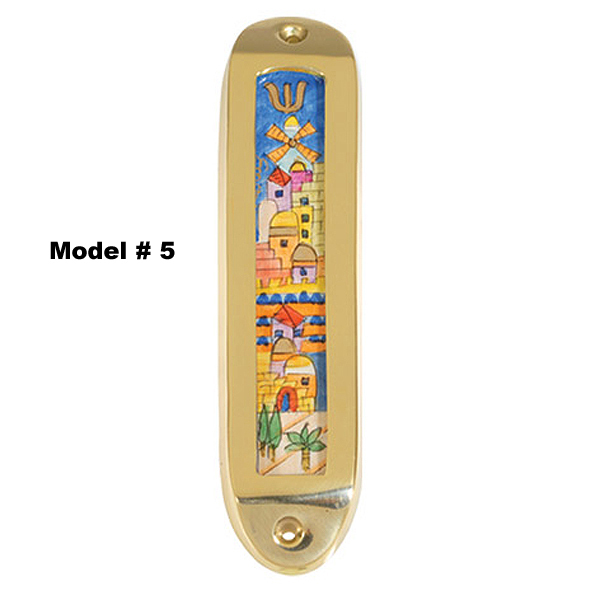 4-Modern buildings of Jerusalem decorate this panel, most notable is the Windmill.